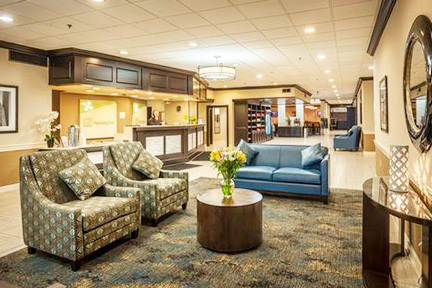 Located downtown, this Fort Wayne, Indiana hotel is convenient to businesses such as Lincoln Financial, General Electric, Wells Fargo, AEP, Chase, PNC, Parkview Healthcare and St. Joseph Hospital. 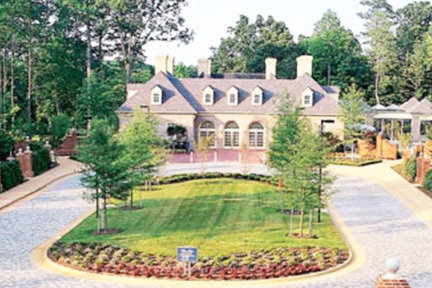 It also is ideally situated for travel links to Chicago, Detroit, Indianapolis, and beyond. For this PIP renovation included a total refreshing of the guestrooms, lobby and reception area. Project Management services included Property Improvement Plan (PIP) scope of work pricing, establishment of the project budget, procurement of the project team, design management, construction management, Furniture, Fixtures & Equipment (FF&E) procurement and installation management as well as coordination of all daily activities of both the General Contractor and the Hotel Management Team. 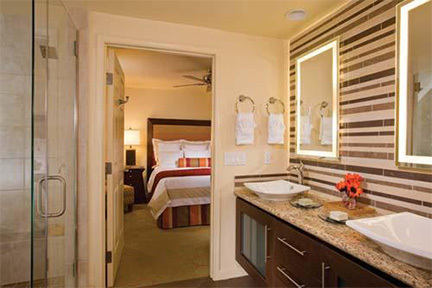 This Marriott Vacation Club International (MVCI) renovation included the interiors of 153 villas located at Shadow Ridge Resort in Palm Desert, California. The resort consists of eight (8), three (3) story timeshare units. The extent of the renovations included replacement of the soft goods including carpet, draperies and furnishings. All walls, ceilings, doors and trim throughout the villa were painted. Crown molding was installed in living room. Minor electrical, bright work and drywall items were also addressed. Project Management Services included Property Improvement Plan (PIP) covering project pricing, creating the budget, procurement of the project team, FF&E procurement and installation management, design management, and construction management. Managing of daily activities with both the General Contractor and the Hotel Management Team. The British Colonial Hilton Nassau is a seven (7) floor, 288-key resort that offers 25 unique room types and is located ocean-front on One Bay Street in Nassau, Bahamas. The multi-million-dollar Property Improvement Plan (PIP) included updating all guest rooms, 47 “executive floor” rooms and 23 suites with a clean contemporary design including marble floors, new lighting, soft goods, case goods, and finish upgrades; complete re-design/re-location of the executive lounge to add 50% more space; and updated public space including a new bar and lounge, coffee shop and restaurant. The PIP renovation also included a 13,500 square-foot re-design of meeting facilities. DRB was the Owner’s representative, services included on-site PIP project management, scheduling, change order review and recommendation and cost management; as well as coordination and management of the design team and contractors. Located just one mile from Lafayette Airport (LFT), the Courtyard by Marriott Lafayette Airport is a three (3) floor, 90-key hotel. Upgraded the Lobby with new paint, trim, carpet and tile; new millwork Welcome Pedestals. Modernized countertops at the Boarding Pass Print Station and contemporary-style networking spaces with refreshed paint, trim, carpet and tile. 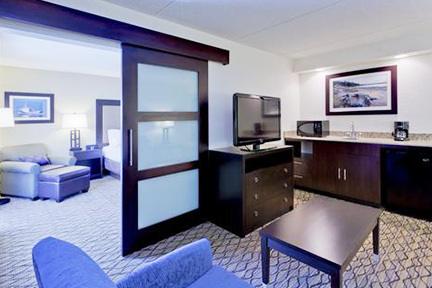 Additionally, all guestrooms were refreshed with new finishes. Project Management services included Property Improvement Plan (PIP) scope of work pricing, establishment of the project budget, procurement of the project team. Additionally, DRB executed the design management, construction management, FF&E procurement and installation management. 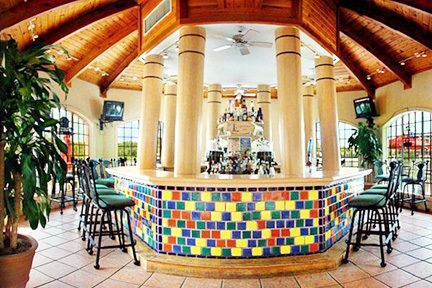 Oversee daily activities of both the General Contractor and the Hotel Management Team. 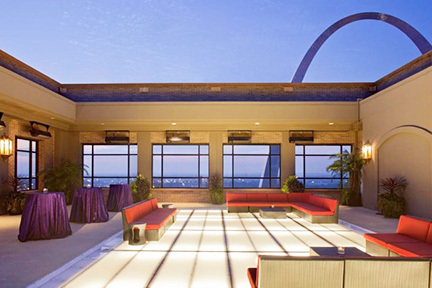 The Hyatt Regency St. Louis Riverfront Hotel consists of two (2), seventeen (17) story towers, distinct and separate in age, and a three (3) level subterranean parking garage. The original tower lies on the west elevation and was constructed 1960. A second tower with two (2) wings lies on the east elevation, and was constructed in 1984 over a five (5) story podium. Amenities include an indoor and outdoor pool on floor 18, along with a fitness center with racquetball courts, sauna, and whirlpool. The hotel offers restaurants, a sports bar, a cocktail lounge, a café, a retail store, a flower shop and banquet facilities on the second and fourth floors. Oversight responsibilities for this $62 million project provided the Owner and Lender with assurances that proper controls were in place. Quality assurance received the appropriate focus, the schedule and budget were accurately maintained throughout the course of the project work. Grande Ocean Resort by Marriott Vacation Club International (MVCI) renovations included the refreshing of the interiors of 149 units. 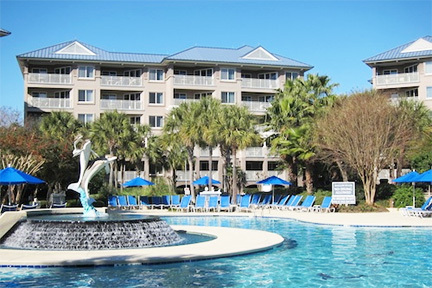 Located in Hilton Head, South Carolina, the buildings housing the entities are multi-story timeshare resort units. New furniture was procured and put in place as well as new fixtures, and new equipment. Project Management services included estimated costs, establishment of the project budget, procurement of the project team, design management, construction management, FF&E procurement and installation management as well as coordination of all daily activities of both the General Contractor and the Resort Team. As Owner’s representative for the $100 million conversion of a 1,064-key Marriott Hotel to the Wyndham Orlando Resort, DRB renovated all guest buildings and meeting areas, made updates to the restaurants, pools, and communication systems across the forty (40) acre property. As part of the upgrades to the guest amenities a new poolside restaurant and health club was also constructed. An ongoing issue with the property’s thirty (30) year old MATV, fire alarm, phone and data system, was solved by installing a new one (1) kilometer long underground duct bank linking the buildings, installation of new cabling and a new 3,500 extension phone switch. The need for the hotel to continue operating during the conversion required detailed planning and strict adherence to schedule. With minimal impact to the guest experience, seven hundred (700) guest rooms remained fully functional. Daily discussions with hotel management were necessary to ensure that changes in staff, guest traffic patterns, access to food service and other guest amenities were never a surprise. The project was completed on time and within budget. 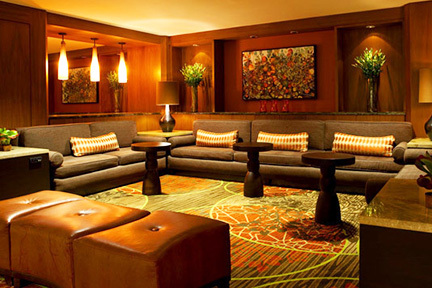 The Sheraton Dallas Hotel consists of three (3) connected towers, North, Central and South, with an adjacent four (4) story Conference Center connected to the hotel via bridges at the Mezzanine level. The hotel contains a total of 1,840 guestrooms in varying sizes and configurations. Within the hotel, meeting rooms/conference spaces are provided on the second, third, fourth, and the 37th floors, with meeting rooms/ conference spaces provided on all four (4) floors of the Conference Center. Several restaurants and lounges, as well as a gift shop, are located on the first floor of the hotel. Amenities include a fitness area, indoor pool and spa, outdoor pool and spa, as well as various patio and plaza areas. As Project Executive, DRB was responsible for the cost estimating team, reviewing the proposed capital expenditure budget. Through monthly site visits, we assisted with the preparation & approval of contractor change order requests and, most importantly, validated the work complete was compliant with pay applications in advance of the Project Manager’s authorization to pay and made recommendations to the bank. 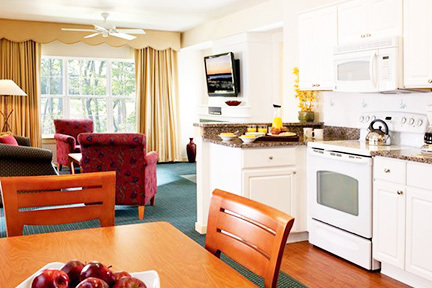 The renovation included refreshing the interiors of villas located at the Manor Club Resort in Williamsburg, Virginia. The buildings are three (3) and four (4) story timeshare resort units. Buildings 2000, 3000 & 4000 included soft goods refurbishment including new carpet. Painting of all walls, doors and trim was done by the resort prior to the refurbishments. 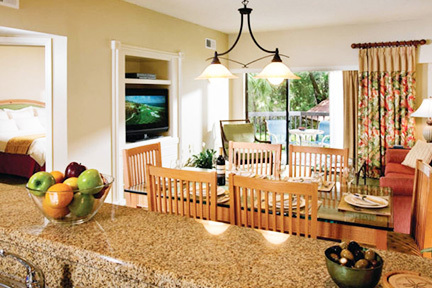 12 Berkley sales villas included replacement of limited case goods and hard goods. This included painting of all walls, doors, and trim. Kitchen received new granite countertops, sink and faucet. Master bath received fresh cabinets, countertop, faucets, water closet, spa tub and faucet, tile surround, updated shower fixtures and surround, vanity mirror and shower door. Guest bath also received the same refurbishments. 12 Berkley villas included the same case goods/hard goods renovation. In addition, the interior corridors for buildings 2000, 3000 & 4000 included the replacement of the carpet, pad and border. Painting of all walls, doors and trim were done by the resort prior to the refurbishment. The main lobby was also refurbished. Replacement of carpet, border and pad; new porcelain tile was installed. Accent wall covering and trim was installed. New paint was placed on all walls, doors, trim and ceiling as well as new vinyl wall covering and wood accent trim. Minor electrical was also done. 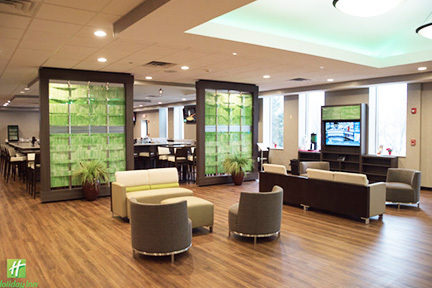 DRB was retained to manage the renovation of this high-traffic, six (6) floor Holiday Inn Hotel just minutes from the Cleveland Airport in Strongsville, Ohio. The scope of work included replacement of the soft goods including carpet, furnishing, draperies and paint of the 306-key hotel, with 13,000 square-feet of flexible meeting space. In addition to interior renovations, we provided cost estimating and quality assurance services. The scope of work included preparation & coordination of the punch list, review of all field directives, management of the incomplete and nonconforming remedial work, and turnover of villas to the resort management team. Working as an extension of the Ownership team, DRB coordinated all work with Ownership according to the construction and installation daily activity schedule. Assisted with the preparation and approval of change order requests and, most importantly, validated the work complete was compliant with pay applications in advance of the Project Manager’s authorization to pay. 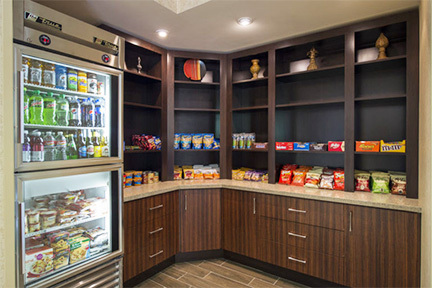 This Marriott Vacation Club International (MVCI) renovation refreshing the interiors of 86 villas located at the Marriott Harbour Pointe Resort in Hilton Head, South Carolina. The buildings are four (4) and five (5) story timeshare resort units. The scope of the renovations included replacement of the soft goods including carpet, tile, furnishings, draperies, paint, and granite counter tops. Project Management Services included Property Improvement Plan (PIP) covering project pricing, creating the budget, procurement of the project team, FF&E procurement and installation management, design management, and construction management. Managing of daily activities with both the General Contractor and the Hotel Management Team. Nestled in the heart of Little Rock’s Downtown Historic District, the Residence Inn Little Rock is an all-suite, 96-key, hotel conveniently located next to the Arkansas Heart Hospital. The $1.8 million scope of the four (4) floor renovation included refurbishment of the main lobby, breakfast bar and business center. The guestrooms and corridors included a mixture of new paint and VWC (Vinyl Wall Covering), replacement of the carpet and soft goods including draperies as well as replacement of some FF&E. In regard to the interior renovations, DRB provided Project Management and quality assurance. Additionally, assisted with the preparation and coordination of the punch list, review of all field directives, management of the incomplete and nonconforming remedial work, and turnover of suites to the management team. Working as an extension of the Ownership team, DRB coordinated all General Contractor work with the Hotel Management Team according to the construction and installation daily activity schedule and acted as the main communication between the Contractor and Hotel Management. Refreshing of the interiors of all units located at the Grande Vista Resort in Orlando, Florida was the focus of this PIP project. As Marriott Vacation Club’s largest resort, the six (6) story, 900-key timeshare resort units are set on 164 sprawling acres complete with a large, quiet lake for boating and fishing. The scope of renovations involved replacement of the carpet, draperies, furnishings, paint, and granite counter tops. 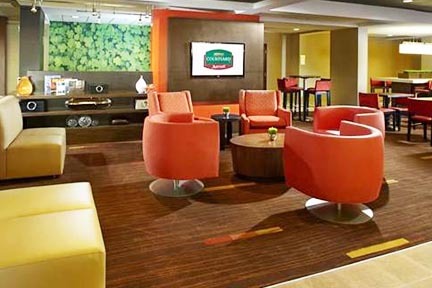 Located in the BWI Business District, this full-service Holiday Inn offers a central location to BWI Airport and Amtrak station. 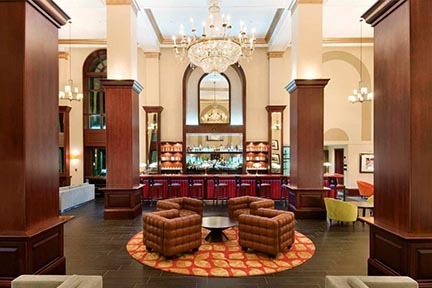 In addition to Downtown Baltimore, Ft. Meade, Annapolis and Washington D.C. Renovations included the refurbishment of the main lobby, replacement of the soft goods including carpet, furnishings, draperies and paint. Project Management services included Property Improvement Plan (PIP) scope of work pricing, establishment of the project budget, procurement of the project team, design management, construction management, FF&E procurement and installation management as well as coordination of all daily activities of both the General Contractor and the Hotel Management Team. 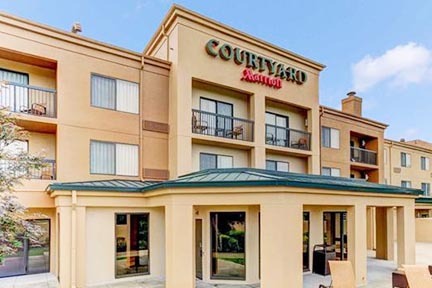 Courtyard by Marriott Paducah is Paducah’s Premier Hotel, located just minutes to Downtown Paducah and Paducah/Barkley Regional Airport (PAH). 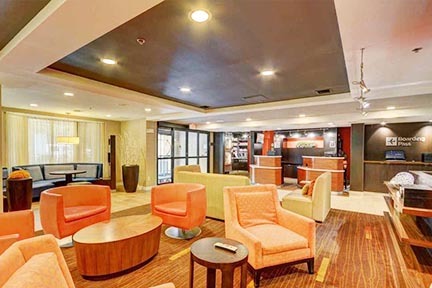 The three (3) floor, 100-key hotel features a brand-new Lobby with upgraded paint, trim, carpet and tile; new millwork Welcome Pedestals, updated countertops at the Boarding Pass Print Station and contemporary-style networking spaces with refreshed paint, trim, carpet and tile. The all new breakfast bistro leads to an updated patio overlooking West Park Waterfall. 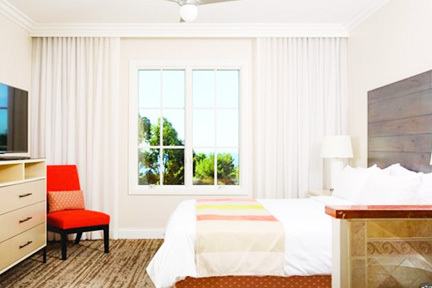 All guestrooms are sporting a refreshed appearance of new finishes. 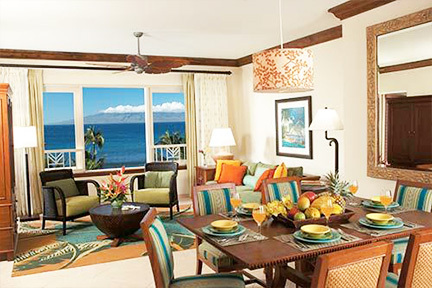 Maui Ocean Club is a Marriott Vacation Club International (MVCI) property. The renovation included the interiors of 154 villas. The building is a nine (9) story timeshare resort unit. The scope of the reformation included replacement of the soft goods including carpet, furnishing, draperies and paint. Project Management Services included Property Improvement Plan (PIP) covering project pricing, creating the budget, procurement of the project team, FF&E procurement and installation management, design management, and construction management. Managing of daily project progress with both the General Contractor and the Hotel Management Team. The project was completed on time and within budget. The Sheraton Denver Hotel is comprised of twenty-two (22) story tower building with an attached office building, underground parking garage, and an eight (8) story Plaza building. The buildings are situated on either side of Court Place between 15th and 16th Streets, and are connected via an enclosed pedestrian bridge. The hotel contains a total of 1,225 guestrooms; 596 in the plaza and 629 in the tower. With several meeting and event rooms, as well as restaurants/bar and retail space, on the ground, mezzanine and second floors. Project Oversight responsibilities for this $81 million project provided the Owner and Lender with assurances that proper project controls were in place, quality assurance received the appropriate focus, and the schedule and budget were accurately maintained throughout the course of the project work. DRB was retained to manage the renovation of this four (4) floor Holiday Inn Hotel, the scope of work included replacement of the soft goods including carpet, furnishing, draperies and paint of the 187-key hotel, totaling $3.9 million. Interior renovations, cost estimating and quality assurance services were provided, including preparation & coordination of the punch list, review of all field directives and management of the incomplete and nonconforming remedial work. Working as an extension of the Ownership team, all work was coordinated with Ownership according to the construction and installation daily schedule. A refresh of the interiors for 64 villas located at the Newport Coast Resort in Newport Coast, California was the goal for this PIP. The buildings are two (2), four (4) story timeshare resort units and one (1), two (2) story timeshare unit. The scope of renovations included replacement of the soft goods including the carpet and pad, as well as new paint on all walls, doors and trim. The main lobby was refurbished and new FF&E were also installed. The carpet and pad was replaced at the sales center desk, main lobby seating, stairs to lower lobby, and behind the front desk. The front desk was replaced, a water feature was installed, and new paint was placed throughout on wall, ceiling, and trim. The elevator car was upgraded as well as replacement of two (2) elevator doors and frames. Additional carpentry work was done, installation of new handrail at stairway, and reclad existing board room doors. Owner’s lounge received new FF&E in addition to receive a new sound system and paint on the walls and trim. Conveniently located in central Tulsa and just minutes from Tulsa International Airport, this three (3) story Courtyard incorporates 122 contemporary-styled rooms & suites, 1,060 square-feet of meeting space, living room-style lobby and an outdoor patio social space. Amenities include an indoor pool, fitness center, and The American Restaurant, BISTRO and snack shop. As Project Executive, cost estimating, review and confirmation of the proposed PIP budget were provided, including the procurement tracking of all FF&E from Marriott, totaling more than $300,000. Through monthly site visits, validation of pay application compliance, and preparation & approval of contractor change order requests were performed. 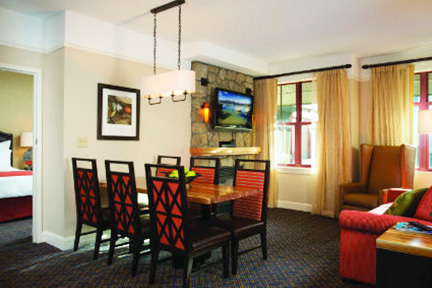 The renovation included upgraded the interiors of 137 villas located at Timber Lodge Resort in South Lake Tahoe, California. Additionally, the lobby, the corridors, and the Children’s Center were remodeled. The resort consists of one (1), six (6) story timeshare unit. The project included replacement of the carpet and draperies. A portion of the FF&E was reused and a portion was replaced. All walls, ceilings, doors and trim received new paint. Project Management services included Property Improvement Plan (PIP) scope of work pricing, establishment of the project budget, procurement of the project team, design management, construction management, FF&E procurement and installation management as well as coordination of all daily activities of both the General Contractor and the Hotel Management Team. The Fairway Villas spa condominium resort in Absecon Highlands, New Jersey is a timeshare resort comprising of three (3), 270-key, three (3) story traditional buildings, originally built in 1857. Minutes from Atlantic City, the resort offers a championship golf course and on-site luxury Elizabeth Arden Red Door Spa. The extent of the renovations included replacement of the soft goods including carpet, furnishings, draperies; paint, granite counter tops, and trim at fireplace. In addition, six (6) corridors were refurbished to include new carpet, pad, and paint on walls, ceilings, doors and trim. Services included construction management and quality assurance on behalf of MVCI and coordination of all General Contractor work with the resident resort management team taking into consideration the resorts daily operational activities. 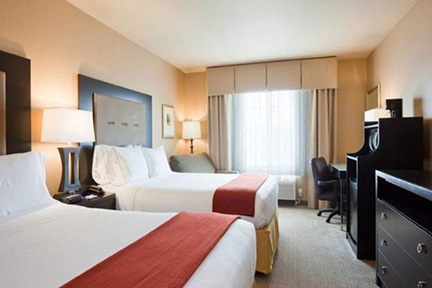 Located just off Racetrack Road in the heart of the Washington-Meadowlands area, this Holiday Inn is conveniently located with convenient access. Via I-79 to Morgantown, Southpointe, Bridgeville and Pittsburgh and is adjacent to the Meadows Racetrack & Casino. Renovations included the refurbishment of the guestrooms, main lobby, and replacement of the soft goods including carpet, furnishings, draperies and paint. From project management to disaster restoration, DRB tailors our construction management services to meet your unique needs.